As its name suggests: history is repeating itself. Fortunately, because now we can enjoy this classy fifties style wiggle skirt! This fitted beauty is worn at the waist and features an elegant row of faux buttons and flares at the hem for a real "all eyes on you look". 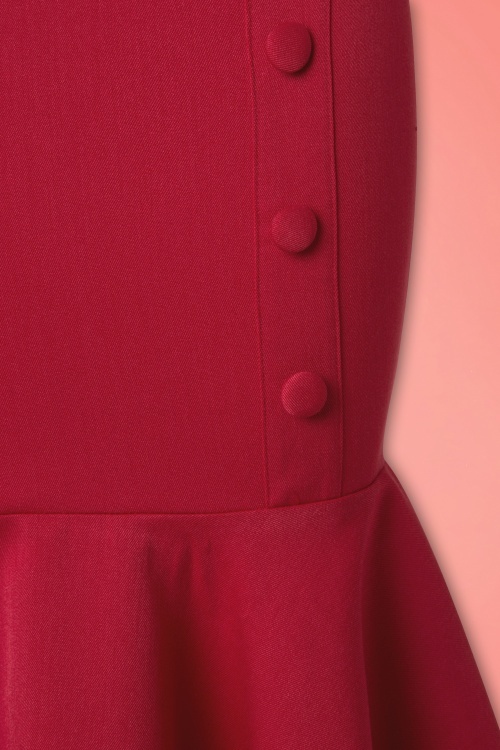 Made from a supple and flattering, wine red fabric with a light stretch that hugs your curves without marking any problem areas. Be a classy vintage vamp in this wonderful wiggle skirt, vavavoom!